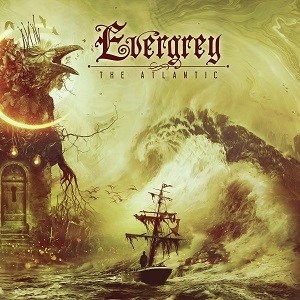 ​As time goes on and Evergrey continues to release good quality material, you get the feel of just how confident this band is. 'The Atlantic' has been in my player for a while now and I have been able to spend some quality time with it. The album is the third part of the Hymns for the Broken trilogy. All of the elements are once again evident. Progressive structure, depth, and a decent amount of atmosphere. Don't forget the intensity either. The album after all is a metal album and another unique metal album at that. The album came across as interesting to me. The more I listened to it, the more I got out of it. I was picking up on small details each time that I hadn't noticed in prior listens. The music is fairly uniform. This is also an album you can plug into and just kick back and just absorb it. It sets a pretty high bar so early into 2019. Easy recommend! ​Rev Jones releases his latest solo effort and it's pretty entertaining. Listening to his playing style reminds me of Billy Sheehan in ways. The music on the album is pretty accessible and comes across fairly catchy. This album has some flash in the instrumentation, but the whole thing is delivered in a way that your casual listener will enjoy what is here. My first exposure to Jones was back at the turn of the century and the Ultrasound convention. He was very entertaining back then as he still is today. You can also catch Jones live on the recent Steelheart live release. You'll get an idea with either release just how talented he is at his craft. I also enjoyed some of the humor injected into the songs. The album to me is all about fun. The sound is hard rock in nature and is delivered with the help of Jeff Martin and Jim Dofka. Definitely worth checking out! ​In ways this album was a surprise. 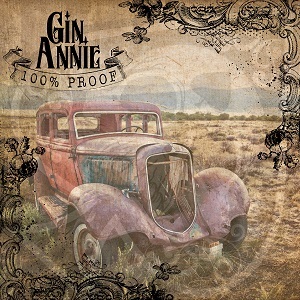 I really wasn't sure what to expect from a band named Gin Annie that hails from England. The music on this record is old school sounding hard rock. Classic hard rock if you prefer. I know the scene seems to be quite varied in England right now with many styles in the mix. This is further proof of that. Honestly, I'm glad to see bands such as Gin Annie writing albums in this vein as it is a sound I like quite well. There is a decent guitar grind, but there is an equal amount of melody as well. The music is memorable and will appeal to melodic hard rock fans. It's also worth mentioning that this is the band's debut album. The record hold true to what I have seen through the years with many bands. Debut albums tend to be very good as the band will tend to spend the necessary time to get these right. They definitely got it right! 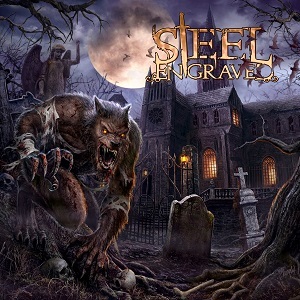 ​The one thing that stood out to me with this self titled album from Steel Engraved was how it had a bit of a hybrid feel to it which I liked a lot. In ways you are going to feel there is a modern feel to it, but structurally it has an old school vibe. The album is rooted in power metal and had some good involvement in production with Ralf Scheepers contributing vocal production as well as a guest spot on 'Searching for Regret'. Also, Mario and Jan from Serious Black helped with the main production duties. Some of my favorite tracks include 'The Oppressed Will Fly', 'Nightwarriors', 'Rebellion', and the previously mentioned 'Searching for Regret'. The latter track in ways reminded me a bit of more vintage Savatage in both guitar tone and the riffs. Really cool even though probably not intentional. Recommended if you like it heavy and a bit more traditional! ​Here is a musician that really needs no introduction. He was involved with two bands that shaped my musical tastes very early on with Victory and Accept and has made a name for himself through the years. 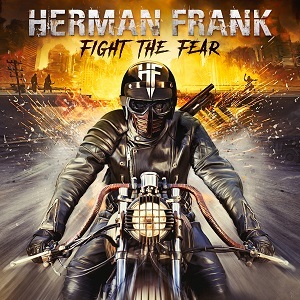 'Fight the Fear' is his latest metal offering and is a very good power metal record. If you have a feel musically where he has been, you'll have a feel for where this record is musically. It does not lack for intensity. Great heavy riffing and the usual guitar licks you would expect on a record with Frank. If for some reason you are one of those who are not familiar with this guy and his music, you really ought to head to Youtube and have a listen. So far this album is represented well with a few tracks already up. There is just something about German metal that stands out and this record showcases that point. Good power metal record with traditional elements!